The only nature game for the whole family. With four levels of questions, CAMP will challenge a 4 year old as well as a 74 year old. Level one questions are mainly identification of animals and geography. Levels increase in difficulty with everything from migrational habits of birds to safety rules while ice fishing. 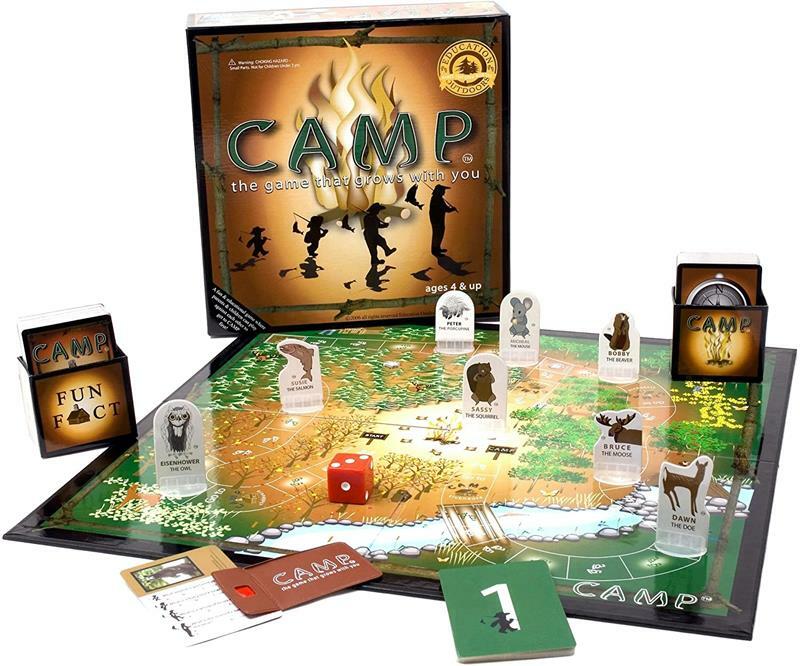 CAMP - the game that educates your child about the great outdoors. For ages 4+ and multi-generational play, up to 8 players.